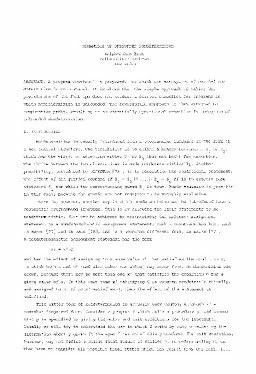 A program construct is proposed, for which the assumption of bounded nondeterminism is not natural. It is shown that the simple approach of taking the powerdomain of the flat cpo does not produce a correct semantics for programs in which nondeterminism is unbounded. The powerdomain approach is then extended to computation paths, resulting is an essentially operational semantics for programs of unbounded nondeterminism.